Dr. Fatih Birol, director of the IEA said that “air pollution is the fourth worst cause of the onset of health risks in the world. Around 3 Millions cases of premature death caused of outdoor air pollutan and most of them happen in urban areas”. Between 3 bigest city in Java Island: Jakarta, Surabaya and Bandung; while in the cities of Jakarta and Surabaya about 80 to 90% of the respondents considered air pollution a serious problem. In Bandung, a majority of te respondents did not consider air pollution as major issue. The most air pollutan absorbed by our body, the most ROS produced. One kind of theraphy we can used to reduce amount of ROS in our body with consume view kind of fruit and vegie contain of antioxidant which can help on detofication. 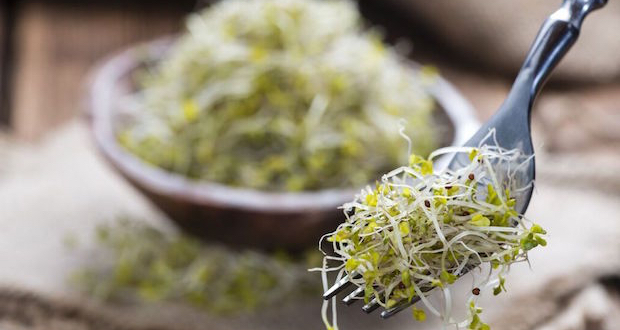 One of super vegetable is broccoli sprouts, it has super high in antioxidant that help detoxification enzyme in the digestive track. Broccoli has a strong positive impact on our body’s detoxification system. The dynamic trio of nutrient Glucoraphanin, Glucorasturiin and Glucobrassicin neutralize and eliminate unwanted contaminants.